Small ship cruise line Windstar Cruises has launched a fresh series of back-to-back cruises, where longer and more in-depth voyages from 14 to 34 days feature few repeated ports in the new Star Collector Voyages. In addition to the elegance of an extended trip with the luxury of unpacking only once, guests also get to take advantage of travelling light for these epic journeys, as all Star Collector Voyages include free daily laundry service. Star Collector Voyages combine some of Windstar’s most popular itineraries for a longer exploration of the region and feature overnights in port (like Jost Van Dyke in the British Virgin Islands and Hong Kong, for example), allowing guests to make the most of their trips. “With dozens of sailings to choose from, and more to be announced for Europe 2018, we are thrilled to now offer an extensive collection of longer voyages designed for the person who wants to sail longer, get closer, and discover the world of Windstar 180 degrees from ordinary,” said Windstar President John Delaney. Arabia & Ancient Spice Routes - Athens to Singapore - 34 Days: Embark from Athens on an odyssey of contrasts and retrace some of the oldest known sea routes in the world, experiencing the cuisine, culture, and landmarks of Egypt, Jordan, Oman, UAE, India, Sri Lanka, Thailand, and Malaysia. Sailing Among Dragons: China & Japan - Singapore to Beijing (Tianjin) - 28 Days: Wander through ancient temples and cosmopolitan cities in this diverging adventure of old and new in Vietnam, China, and Japan. The Best of China, Korea & Japan - Hong Kong to Tokyo (Yokohama) - 28 Days: An ideal choice for adventurous travellers seeking an array of excursion options, this journey from China to South Korea and Japan grants access to more than 17 exceptional UNESCO World Heritage Sites. Crossing to the Caribbean Saints - Lisbon to Philipsburg (St. Maarten) - 21 Days: Rekindle the romance of a classic ocean voyage with this transatlantic cruise from Lisbon, Portugal to tropical Bridgetown, Barbados. Once in the Caribbean, set a course among the southern island havens and highlights, with stops at some of the best beaches in the world, ending in St. Maarten. Classic Caribbean Havens & Harbors - Philipsburg (St. Maarten) to Colón (Panama) - 14 Days: Cruise the southernmost and warmest waters of the Caribbean, stopping off in sun-drenched Aruba and exploring the untouched natural splendours in Colombia and Panama. Caribbean Beaches & Costa Rican Cloudforests – Bridgetown (Barbados) to Puerto Caldera (Costa Rica) - 14 Days: With time in the Southern Caribbean Islands, the charming remote white beaches and quaint village markets then give way to tropical jungles, the Panama Canal, and the Pacific Ocean, ending in Costa Rica. Windstar Cruises operates a six-ship fleet of small sailing and all-suite ships visiting 170 ports throughout Northern Europe, the Mediterranean, the Caribbean, Costa Rica, the Panama Canal, sailing year-round in Tahiti and the South Pacific, and adding newly-announced Alaska, Canada, New England, Asia and Arabia. The boutique cruise ships are known for an intimate private yacht-style experience, unique itineraries and exclusive access to the world’s best small ports and hidden harbours. 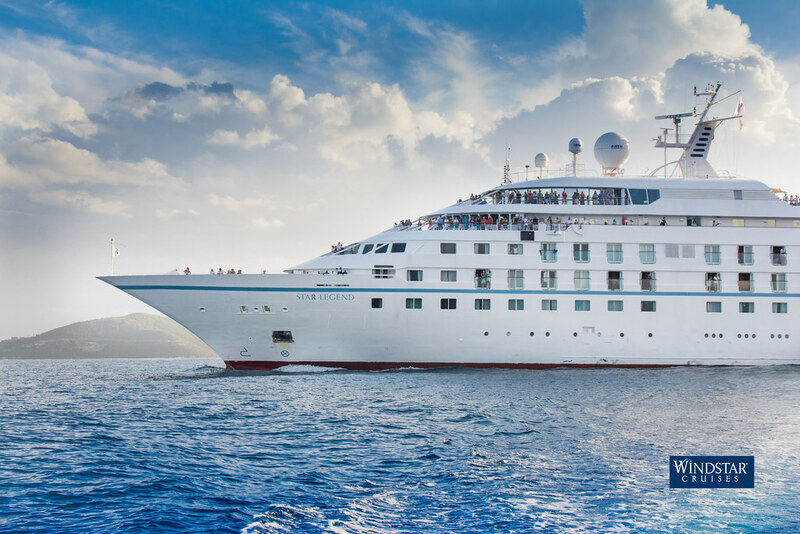 Windstar’s fleet is the market leader in boutique small ship cruising with a total of 1242 passenger berths. All ships in the fleet have recently undergone multi-million dollar transformations to embody casually elegant yacht travel. The all-suite Star Breeze, Star Legend and Star Pride serve 212 guests in all-suite accommodation; while sailing ships Wind Spirit and Wind Star sail with up to 148 guests, and Wind Surf serves 310 guests. The small ships cruise to quaint and popular ports in nearly 60 nations worldwide. Windstar Cruises is a part of Xanterra Parks & Resorts®, known for “Legendary Hospitality with a Softer Footprint.” Xanterra’s entities also include lodges, restaurants, tours and activities in national and state parks, as well as resorts, railway and tour companies.